NURSES AT A mental health facility which cares for patients with acute psychiatric needs have been working for 27 hours straight and expect to have to work through the night again. About 15 nurses at the Phoenix Care Centre in Grangegorman in north Dublin have been working since 8pm yesterday. John Condon, one of four male nurses working on a male-only unit, said he and his colleagues are exhausted and concerned they will make mistakes due to lack of sleep. Other facilities around the country are experiencing similar staffing issues. The Psychiatric Nurses Association implemented daytime overtime bans last week and yesterday as part of an industrial dispute over pay, staffing levels and conditions. These overtime bans will extend to overnight bans today and tomorrow. Members of the Irish Nurses and Midwives Organisation are also engaged in an ongoing industrial dispute, citing similar concerns. Speaking to TheJournal.ie as he entered his 21st hour of work, Condon said nurses at the Phoenix Care Centre were informed by the union this morning there weren’t enough staff to cover the daytime shift, which began at 8am, so he and others would have to remain on site. We’re absolutely wrecked, it’s bad here at the minute. Some of the patients are aggressive and violent. “There were no staff here to take over this morning. It’s highlighted how short we are – how reliant we are on overtime, we can’t staff the wards. It’s quite appalling. We’re absolutely worried about the level of care we can give, we could make mistakes when dispensing medication. Condon said, given the acute nature of the needs of patients at the facility, the nurses have to remain on call at all times and cannot take turns to sleep. He said other nurses working on female-only wards and other units in the building are in the same position. Condon said the nurses believe they will get cover tomorrow morning but “will just have to soldier on” until then. Condon said he understands why the union has escalated its strike action, saying it is “proving a point”. Condon, whose father and grandfather also worked as psychiatric nurses, said the profession is a vocation but he understands why so many graduates emigrate given the better pay and conditions abroad. He said the staffing situation in Ireland is “appalling” and “needs to be highlighted”. We’re tired now … We’ll get no sleep again tonight, we can’t – the patients are too volatile. We just have to pull together and get through. 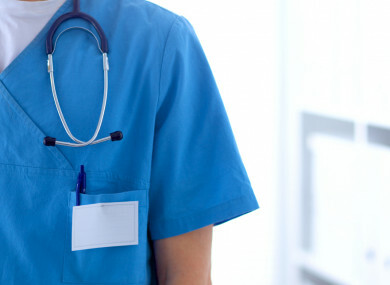 Overnight nurses at a number of other facilities across the country also had to work throughout the day due to the overtime ban, with staff at certain units likely to have to again work overnight. A spokesperson for the PNA said the situation is “very unfortunate”. “The situation in the Phoenix Care Centre and other units around the country which have been experiencing difficulties today confirms absolutely that mental health services are understaffed. A HSE spokesperson told TheJournal.ie the organisation “has had continuous engagement with the PNA and is working closely with them to try and address the issues that have arisen this evening”. “That work is still ongoing. We anticipate similar staffing issues at handover tomorrow and remain concerned about staffing levels,” they said. Email “'We're absolutely wrecked, we're afraid we'll make a mistake': Psychiatric nurses will have to work through night again”. Feedback on “'We're absolutely wrecked, we're afraid we'll make a mistake': Psychiatric nurses will have to work through night again”.